Type your Cal State Xpress tracking number below, get live delivery information with our express tracking system. 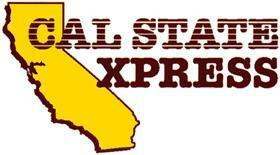 Cal State Xpress is a full service California trucking company. We are an ISO Certified motor carrier providing LTL and Truckload service within California and Mexico. PUC Intrastate services are available for LTL and Truckloads. E.D.I. services are also available. As a California trucking company, we understand the needs of our Customers. We have Service Centers in Oakland, San Diego, Fresno, and South Gate (Los Angeles). LTL shipments are serviced on a next-day basis to most points. Truckload service is available to all points within California. We are now serving Mexico for both inbound and outbound shipments. The employees of Cal State Xpress believe that our top priority is to give our customers the Quality Service they require. By conforming to our customer’s requirements, which is how “Quality” is defined, we create a level of service and reputation that will retain our current customer base, while drawing additional customers to our company. If you have problem with our express tracking system, please track your package directly on the Cal State Xpress website. If you get no tracking information from Cal State Xpress official website, you’d better contact them. If you have problem with our Cal State Xpress Tracking system, submit your problem here, we will help you as soon as possible. Declare: We can NOT contact carrier or others on your behalf, we can only help you track your package with your Cal State Xpress tracking number on official tracking system. My tracking number is 0018876. I’ve been trying to track my order all night and nothing works. My name is Reese Nosler and I ordered it from Costco. We suggest you call Cal State Xpress customer service for more help.